Known for its camping and equestrian trails, Lake Wenatchee is a beautiful 489-acre park that can be enjoyed in both summer and winter. What can I see and do at Lake Wenatchee? 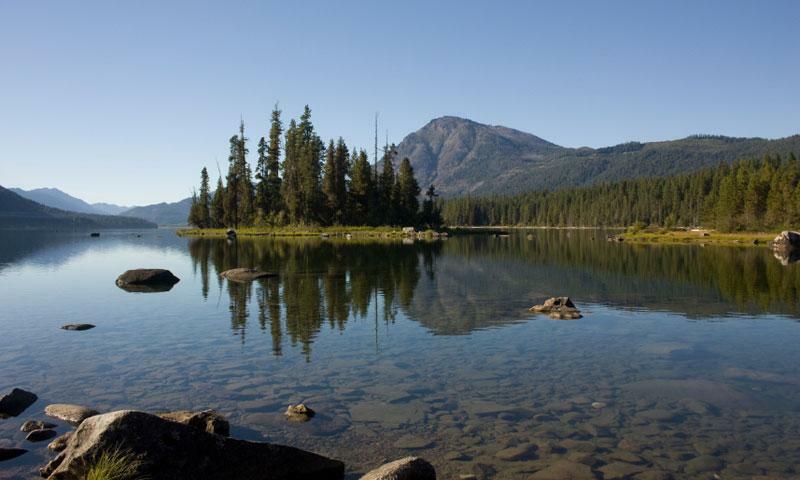 Camping: Lake Wenatchee is a 489-acre camping park. Needless to say, there are lots of places to enjoy Lake Wenatchee Camping. The camping areas are divided into two sections: the South Park and the North Park. The South Park has camping, swimming and horseback riding while the North Park is less developed and more focused on natural forestry. Horseback Riding: There are 5 miles of equestrian trails in and around the South Park. A concession office offers horses for rent for day or overnight trips. There are no public stables. Swimming: Lake Wenatchee is a beautiful area for swimming. Enjoy the coolness of the water as you spend the day adventuring and exploring. Fishing: While there is not a designated fishing ‘hot’ spot, you can always try a little catch-and-release for relaxation and practice. Take US 2 going West until you hit WA-207 North. Follow this until you turn left onto Browns Road. Take another left onto N Shore Drive and Lake Wenatchee will be in front of you. For more information call the Washington Parks service at (888) 226-7688 or visit http://parks.wa.gov/. Lakes and rivers near Mount Hood, in Oregon. Popular lake near Mount Hood, Oregon.